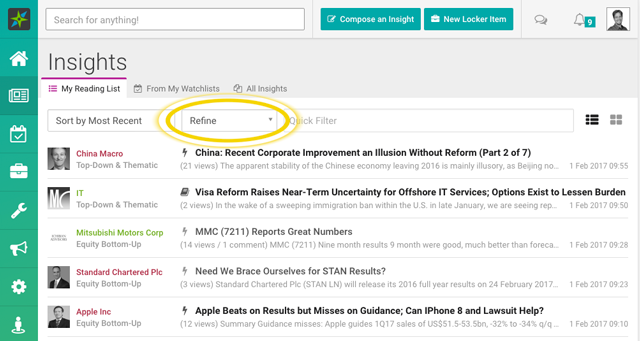 You can set up pre-defined filters to further narrow down your Insight List. To achieve this you need to select the “Refine” drop down at the top of your Reading List. 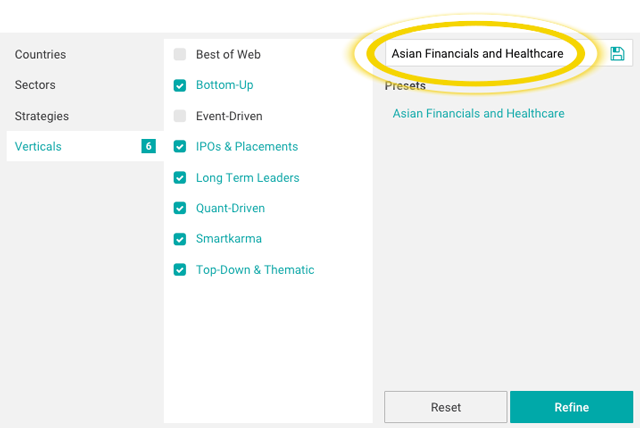 This will open up a dialog box that will enable you to save/edit pre-defined filters based on Countries, Sectors, Strategies and Verticals. Once you have made your selection you can save it under any name to ensure that the filter is available to you for use later. To go back to your original Insight List, you can choose to clear the filter by selecting “Clear all”.